Although pictures can tell a story, they cannot tell the whole story. Only words can do that. How to add text to design and make the message stand out has always been an important lesson when designing. 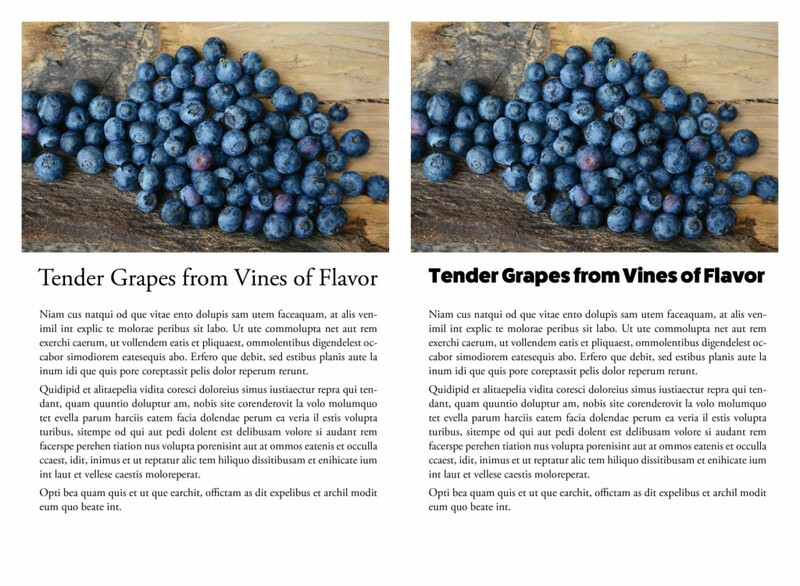 Here are five simple rules for creating layouts people will read. Since the headline is the most critical part of your content, it deserves a place of honor in your layout. Pictures should not get in its way. 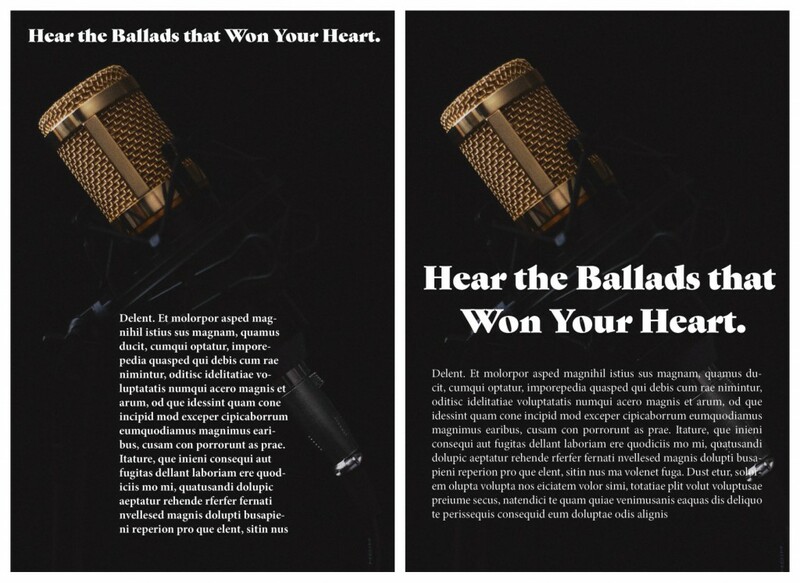 Since the layout on the left does not pay tribute to the headline, the reader enters the design at the microphone and travels down to the body copy. The layout on the right uses the microphone to draw the eye directly to the proudly displayed headline below it. If you go to the Fotor design platform, you will find dozens of beautifully designed templates. You can use these templates as is, or as a base for your own design. All of them make the headline the star. Contrast gets our attention. 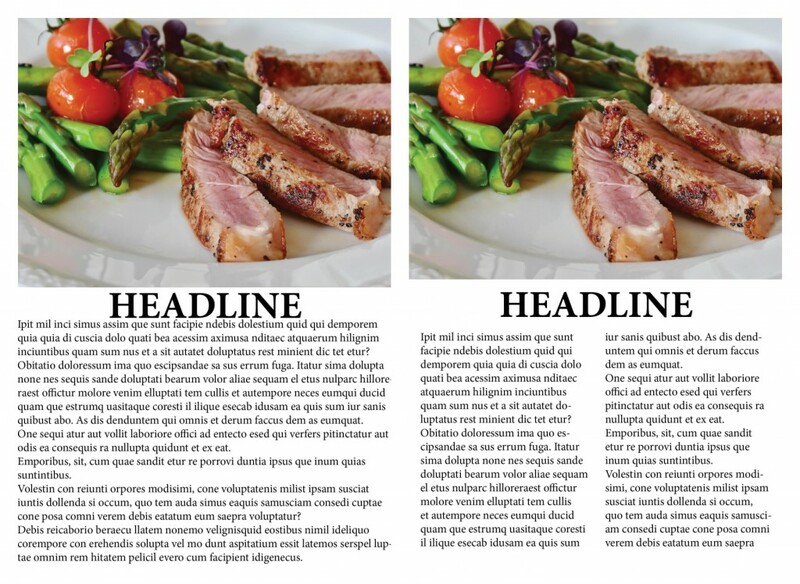 When designing with type, show a marked difference between the headline and the text or body copy. One way to do this is by making the headline larger than the body copy, but if you make the headline bolder, it becomes an eye magnet. The layout on the left has minimal contrast. Although the headline is larger, it does not stand out. Notice how much more interesting the layout on the right becomes with a bolder heading. You want to read the headline and the story below it. Body copy that goes right up to the edge of a layout makes readers uncomfortable and can hamper the basic understanding of your message. Look at the two examples below. Which one invites you to read the text? You can add even more white space by splitting the text into two columns. This shortens the line length making it easier to read. There is nothing wrong with putting a photo behind a headline or even body copy, but you need to handle it correctly. One technique is to lower the opacity of the image to create a minimal amount of busyness behind the text. Another approach is to put the text in a box and place it over the image. You can easily do this by using the Sticker and Shape functions in Fotor. Below are demonstration on how to add a graphic element using Fotor’s Stickers and reduce the Color and Contrast of a photo using Fotor’s Effects tab. Let’s see how to use the Effects tab first, and then check out the Sticker option. 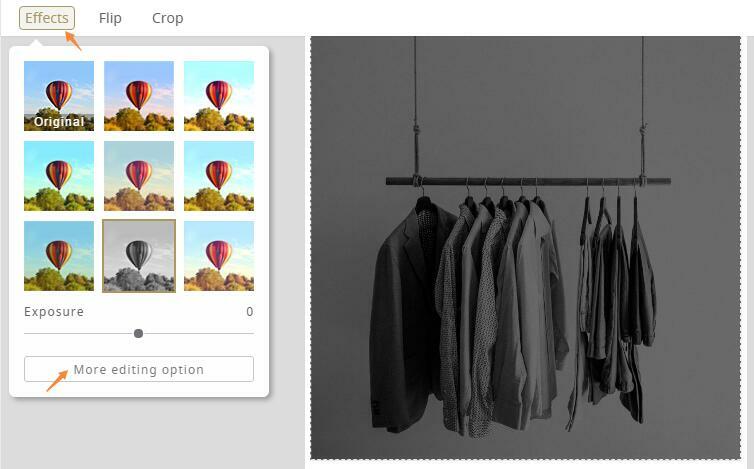 After adding a photo onto the design, you can easily change the effects or further edit the photo. From this taskbar, I select the Effects tab to display a dialogue box that allows me to adjust the image with a number of default exposures, or with custom adjustments from the More editing options button below. When adding text on a black-and-white photo, I’d suggest using some colors of higher saturation, that’s why I tried orange. But sometimes, white can also be a good choice. You can easily manage the text layout with the toolbar above that allows me to select the font, font size, font color, and font alignment. And you’re all set to put the text message on it. Be sure the font, size and color just match perfectly with the overall design. You can use type as illustration by putting your headline on an angle, running it vertically, or sizing it so big that part of it goes beyond the boundaries of your layout. Often a decorative font is used for this and the letters in the words are be modified to add to the effect. You can find many examples among Fotor’s templates. The layout above is just one. Follow these five simple rules and your audience will always read your content. Your layouts will look great too. 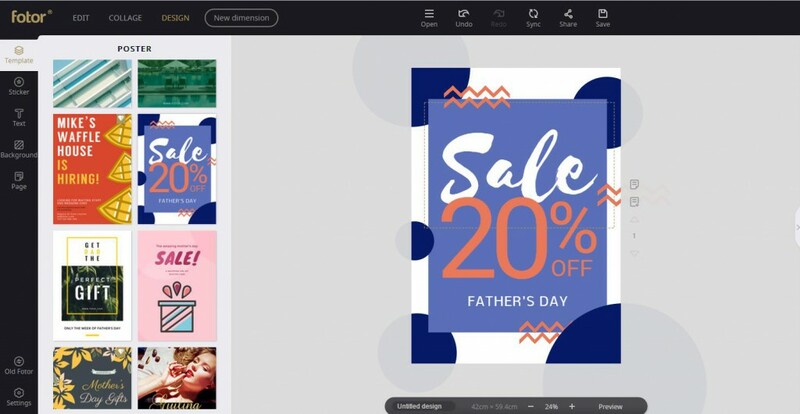 Go to Fotor and start your design right away!